Alright, back to the pencil sketches . . . 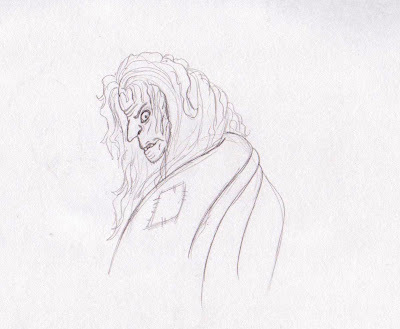 The first sketch is that of the dreaded Witch of the Wreing, a fabled hag said to haunt the dark forest covering a good deal of Oescienne. 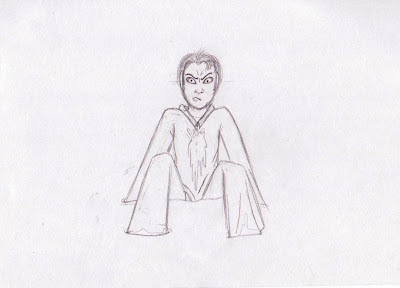 The second represents Eydeth, the boy at the school in Aldehren who is always tormenting Jahrra and her friends. 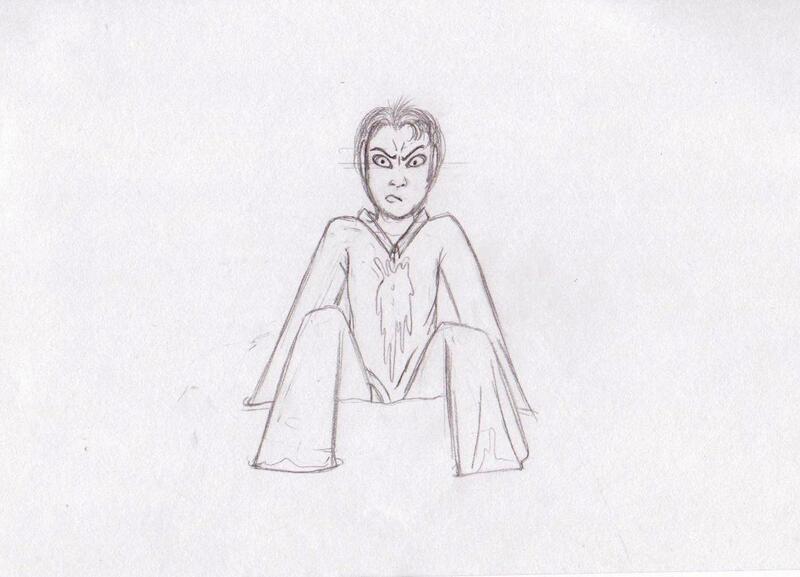 In this particular sketch, Jahrra gets back at him and manages to humiliate him in the front of the entire class.